On 21st September 2016 Senior K.G. kids went to a super market to learn about the concept of grocer. Super market is a place where we get all the things that we need at home under one roof. They enjoyed seeing different items. They saw process of selling and purchasing. It was a good learning experience outside the class room. 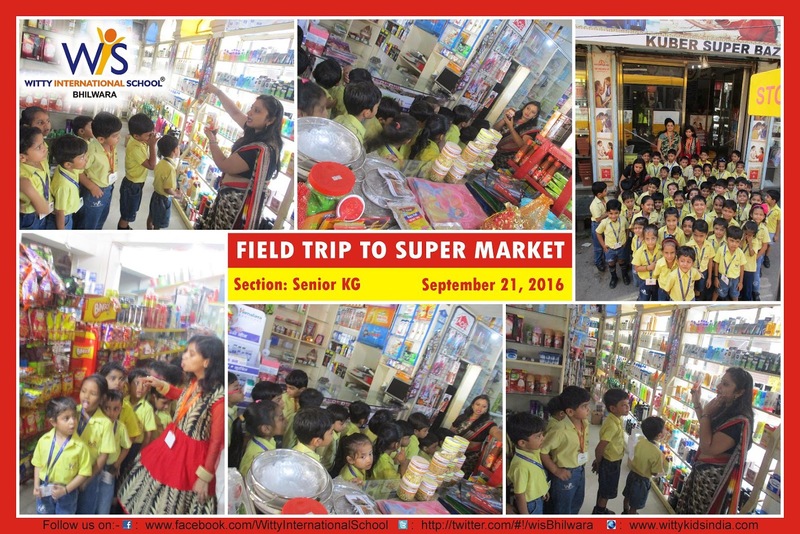 We Wittians thank management of Kuber Super Market for their cooperation.